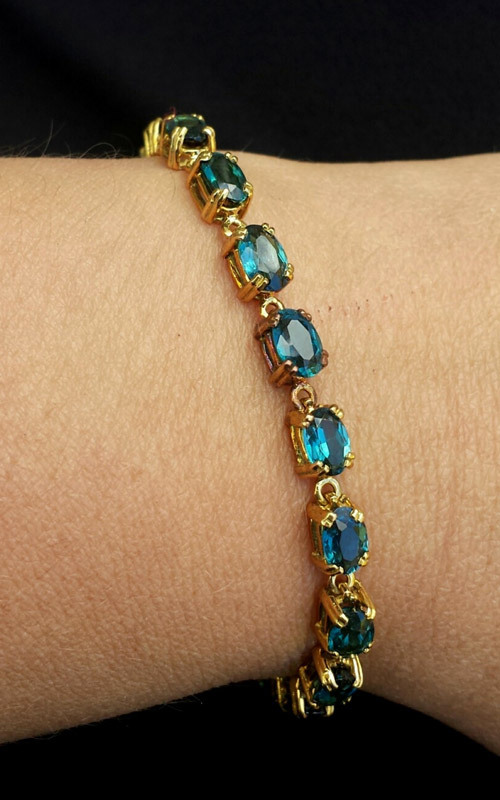 Beautiful vintage 18k yellow gold line bracelet set with gorgeous blue tourmalines. Stones are most likely Brazilian. Tongue catch with a safety clasp. Length is 7". 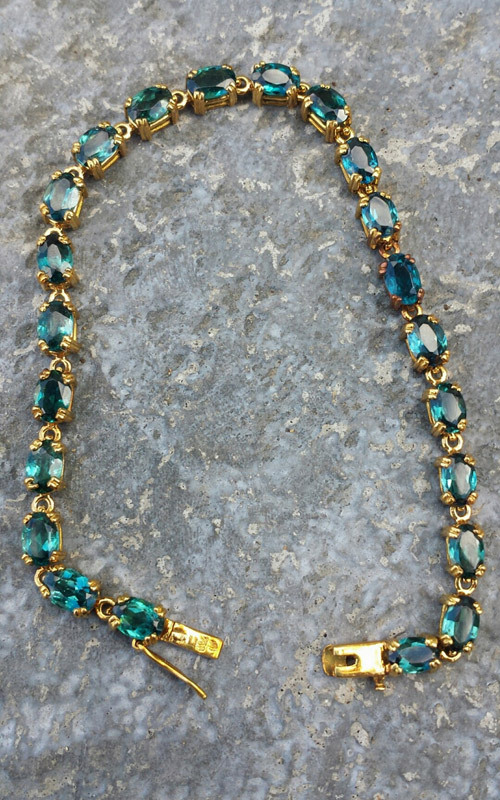 Twenty two tourmaline gemstones, approx. 6mmx4mm each, estimated total weight is 11ct's. Hallmarked 750, acid tested 18k.